The magnificent divine being that you are can easily be discovered in the next few months of your life. You simply need to be committed to dropping every idea your mind continues to create about who you are, and who you are not. By consistently letting go of the storehouse of thoughts, beliefs and concepts you hold tightly about yourself and welcoming an unlimited potential energy, you will soon make room inside your being for an awesome spiritual awakening experience to occur. Enlightenment begins with the process of unraveling yourself. You first must understand the difference between who you are, and who you believe yourself to be before you can “unlearn” it all and experience total liberation. Get to know yourself. Discover what makes you tick and what makes you ticked off. Acknowledge that the thoughts you’ve formed around your body, reputation, bank account, and overall identity represent only a fracture of the sacred contents of your spiritual essence. The moment you recognize and know the truth of who you really are, the ideas you associate yourself with will seem silly, and simply drop away on their own accord. It’s very enlightening to experience the deep sloughing off of all these mini-identities until there is nothing left but your pure essential nature. The more intimately you know yourself, the easier it is to find and free all the limiting ideas you have about you. It’s not that you should try to fix, change, or resist having ideas about yourself. This would simply create more suffering. The secret to enlightenment is simply not identifying with or resisting any ideas at all because you know you are pure consciousness. This sweet awareness and soul who you is so infinitely vast that there truly is no thought which can describe your real brilliance. All the ideas you have about yourself are limiting and confining, no matter how big they are. Dirty or clean, good or bad, all thoughts squeeze you into the mind and keep you at bay from experiencing yourself at this vast field of enlightened consciousness. Imagine that all the ideas you have had about yourself are represented by a splattering of mud on every window and windshield of your car. When you enquire and look within asking “who am I really?” a rain shower of awareness falls all over cleaning your car. With each drop of rain that falls, the muck slowly slowly washes your windows. After the storm has passed, the sun comes out, drying your windows and all the grime is gone! You can see clearly in all directions. The dirt is no longer blocking your view, and the true 360 degree perspective of your life is available again. As you approach this enlightening path of dropping all ideas about yourself, you will come across three obstacles or “hurdles” along the way. These hurdles will become stepping stones if you approach them with a fun and playful childlike innocence. As you step over these three hurdles to dropping your identity, you’ll start feeling what its like to take full control over the steering wheel of your life. By vigilantly practicing non-attachment to all thoughts about you, the ego slips into the back seat and you begin driving your car. HURDLE #1 – Find Peace With All Your Parts. Enlightenment is possible only if you can truly face yourself and find peace with all your parts. You must become a deeply curious and trusting spirit who has a radical warrior-like approach with the ego if you ever wish to reach the center of your being, or the “I” of the hurricane. To even get a taste of enlightenment for a few seconds takes a very devoted seeker who is tired of the incessant struggle and ready (right now) to surrender it all. This warrior inside you must be 100% willing in each moment to give up its life for peace, and this simply happens by not identifying with any one particular thoughts. By allowing and setting aside all the good and bad memories about your life, you will soon discover a natural wellspring of peaceful stillness inside. HURDLE #2 – Embrace the Fear of the Unknown. Most people are afraid to drop into the center of this “I” of pure consciousness for it means that they’ve reached the very center of the mystery and thus MUST drop all the negative and positive beliefs about themselves. When you continuously drop the ideas about your identity, the ego’s controlling agenda is no longer in charge and the mysterious spiritual essence inside you starts taking over. You instantly fall into the unknown as if you were to fall into deep space for eternity. Here you realize how nothing you believed to be true was true, yet was simply an idea made up by the mind. This can be a terrifying experience for the ego because you’re switching off a life long of belief systems that give you a solid foundation to lean on. Your ego’s support team will try to avoid living in this great eternal mystery over and over, since it doesn’t allow you to define who and what you could possibly be. This “infinity of possibilities” is one step closer to the truth of who you are. It is the missing key to relinquishing the grip you have on your mind, and the ego has on you. This is where the enlightened pathless path to absolute bliss begins. HURDLE #3 – Transcend the Loss of Motivation and Life Purpose. When the ego is no longer running the show, there is often an initial experience of feeling lost, confused, unfulfilled and purposeless. This is to be expected. As you drop all concepts about you, you will fall deeply into the vast emptiness of your being. The mind may struggle with this experience, and start believing you are nothing special. It may tell you that since you are “nothing” there is no reason to do anything anymore. All the old comforting ideas about yourself are no longer valid and you may experience a deep lack of motivation, feeling that you have no reason to live because you cannot see your divine mission here on Earth. Often people start believing they are a complete failure when they are right on the brim of tapping into this divine emptiness inside. This is a very good sign that you are getting closer to the enlightened state. When this hurdle hits you just remember one thing. All suffering is created from an ego trip. It’s the ego who thinks he/she is “a failure” and is simply resisting this thought which causes it to perpetuate. Motivation comes naturally when one is aligned with their life purpose, in tune with the source of their being. Any attempt to try to remain motivated is just the ego remaining busy, and avoiding the brilliant infinite light of your being. The true self that you are is complete as it is and is inspired by divine action. It has no identity at all, whatsoever with results or actions it takes. It simply acts from a place of joy and utter freedom. The true Self acts like non-stick Teflon where no action, motivation or purpose can attach itself to it. It is pure love in a divine form. As the ego slowly finds out that it was never real to begin with, it may start revolting and make you believe your soul has no purpose whatsoever for being here. Quite the contrary is true! Your soul is here to discover it is the vast infinite God Source itself. Your mission is to know, realize and perpetually recognize you are an all-expansive, all-pervasive, divinely intelligent, loving being who can manifest anything you desire. You have the infinite creative power of the Universe inside you! What could be more thrilling than that?. Is there a greater life mission that you could have? As you find out this Truth, the ego drops away in embarrassment. Whatever you want to do with your life has even more creative juice behind it, as you are tapped into your true unlimited essence. Awakening to this true you is what enlightenment is all about. It wouldn’t be fun if you didn’t have hurdles to leap over, or the mystery of discovering something that is beyond the mind’s grasp. It’s ironic, yet discovering the truth of your Infinite Self is actually an effortless process. When you are completely relaxed, absolutely non-attached to the thoughts, beliefs, motivations and desires your mind believes are essential for you to achieve happiness, then enlightenment soon finds you! You can easily abide in the very center of the hurricane of thoughts that try to pierce you everyday, and can bathe in the whirlpools that the mind is spinning in. The enlightened state is the most amazing place to live, and you will know you arrived because you’ll always be at peace with anything and everything that occurs. No matter what happens, you’ll discover that the mind is no longer your master, and you are the source of all the joy that you can fathom. The most ordinary walk in the park becomes nothing but pure ecstasy as you’re being purely present to the truth of what you are! I’ve designed an online program that will dramatically shift you into a higher state of consciousness so you can start experiencing what I’ve been speaking about above. It’s wild yet you will begin manifesting whatever your truly desire when you are following my Super Manifesting Program. 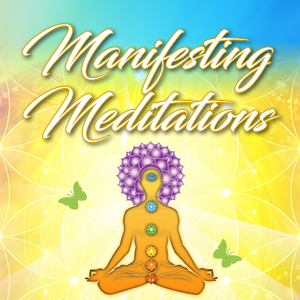 Simply follow my 8 habits morning manifesting routine, and in less than 90 days I guarantee you’ll begin to effortlessly manifest the most amazing experiences of your life! Enjoy the magic! Your life is meant to be a fun thrilling spiritual adventure. Enjoy! 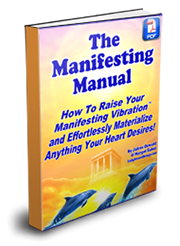 Click Here to Download the Super Manifesting Program Instantly!! Thanks for sharing this information to readers. Enlightenment helps to find ourselves, and reduce the fear in you.